Middle Earth is officially making its way to the small screen. After reports surfaced last week stating that Amazon was in talks with Warner Bros. and the J. R. R. Tolkien estate for a Lord of the Rings TV series, it's now been confirmed that the project is moving forward. Amazon has made a multi-season commitment for the show and there's even the chance of a spin-off. The good news for Lord of the Rings fans? The series is going to tell new stories set within the Tolkien mythology. Here's what Matt Galsor, a representative for the Tolkien Estate and Trust and HarperCollins, had to say about it. "We are delighted that Amazon, with its longstanding commitment to literature, is the home of the first-ever multi-season television series for the Lord of the Rings. Sharon and the team at Amazon Studios have exceptional ideas to bring to the screen previously unexplored stories based on J.R.R. Tolkien's original writings." It's said that these new adventures will explore stories prior to the events of The Fellowship of the Ring. That means Peter Jackson's beloved Lord of the Rings trilogy won't be part of what Amazon is going to adapt with this TV series. That should do plenty to extinguish fan concerns, but it opens up a great many questions. Since The Hobbit has already been adapted, albeit with much less critical acclaim, as a trilogy of movies as well, what does that leave? That's the million dollar question. Here's what Sharon Tal Yguado, Head of Scripted Series at Amazon Studios, had to say about the Lord of the Rings TV series. 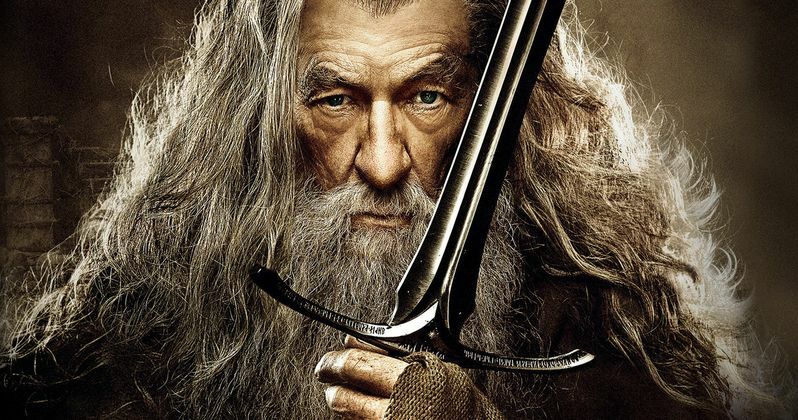 So what can we expect in this new Lord of the Rings TV series? For one, it's incredibly unlikely that any of the cast from the original movies will return for the series. Though, it's not impossible to imagine that Peter Jackson could come on board in some capacity, possibly as a producer. But more importantly, what "unexplored stories" could this show tell? There's at least one good answer; The Silmarillion. This is purely speculative, but J.R.R. Tolkien did write The Silmarillion, a book that features stories set in the lands of Valinor, Beleriand, Númenor, and Middle-earth. It was published by his son, Christopher Tolkien, after his father's death and was released in 1977. While Amazon's initial announcement makes no mention of making use of the stories in The Silmarillion, it would seem to be the most logical place to go. Or, at the very least, the creative team can use it as a jumping off point. In any case, the Lord of the Rings franchise is far from done.